BRIAN F. BYRD • ASM Affiliates, Encinitas, California 92024, and Department of Anthropology, University of California, San Diego, La Jolla, California 92093. Life in Neolithic Farming Communities: Social Organization, Identity, and Differentiation, edited by Ian Kuijt Kluwer Academic/Plenum Publishers, New York, 2000.
members of a single community and for competition for those resources (Hayden 1990;Netting 1990;Wilk and Netting 1984:11;Wilson 1988).Rights to many resources among sedentary ethnographic populations are typically well defined and noncommunal. A number of scholars have argued that with sedentism and agricultural production the household became the basic social unit within communities that maintained and transmitted inheritance rights and resource access (Flannery 1972:48;Netting 1990:60;Wilson 1988). Research on community changes associated with the emergence of sedentism and food production within southwest Asia has generally focused on social complexity and ritual behavior, particularly associated with mortuary practices, with minimal attention given to unraveling the nature of household organization (Byrd andMonahan 1995;Cauvin 1972,1994;Henry 1985; Kuijt 1995, 1996; Wright 1978). 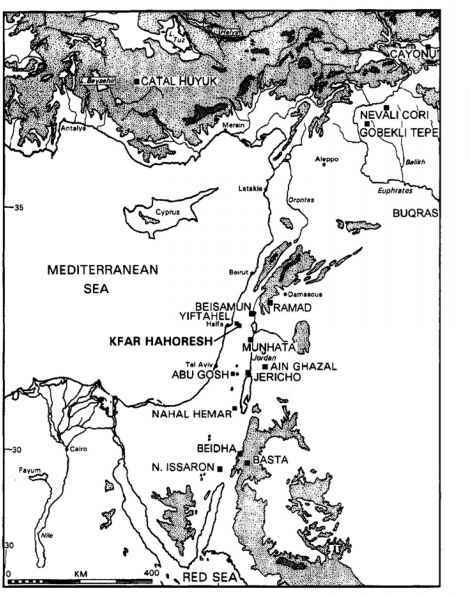 Recently I have suggested that early agricultural villages in southwest Asia were characterized by a restriction in the social network for sharing production and consumption activities, and the development of more institutionalized mechanisms for integrating the community as a whole (Byrd 1994a). Typically in southwest Asia, examination of household size and organization has been limited to brief statements focused on the Early Neolithic. For example, Redman stated that during the early Neolithic "each building housed a family having from five to eight members" (Redman 1978:143). Others have offered contradictory reconstructions that early Neolithic households were representative of nuclear families or extended families or the potential for the latter (Aurenche 1981; Bar-Yosef and Meadow 1995; Hole 1987:82; Moore 1985:19; Voigt 1990:3; Watson 1978: 156). These assertions were rarely explicitly linked to empirical evidence. Discussion of social organization for direct Epi-Paleolithic antecedents of the Early Neolithic is more infrequent (yet see Goring-Morris 1987). There has been only one specific attempt to reconstruct household organization in southwest Asia during this time period. Flannery's (1972) ambitious reconstruction of social structure and the nature of households focused on the transition to agricultural villages. He identified two site types in the archaeological literature-circular hut compounds and rectangular house villages—and examined the ethnographic literature for insights into the social structure of these settlement types. Based on analogy from modern African pastoralists, early clusters or compounds of circular buildings during the Natufian and Pre-Pottery Neolithic A (PPNA) were hypothesized as representative of patrilineal, polygynous extended families. Each building was typically occupied not by a family but by one person or sometimes two people (typically a man or one of his wives). At later Neolithic villages, in contrast, "the rectangular buildings are designed to accommodate families, rather than individuals" (Flannery 1972:39, emphasis original). These buildings of the Pre-Pottery Neolithic B (PPNB) were hypothesized as being occupied by families of three or four people. Only during subsequent periods were such structures combined to form extended households. Thus, the transition from round to square architecture coincided with a shift in residential unit from a polygynous extended household to a monogamous nuclear household (Flannery 1972:42). Recently this study has been criticized (Saidel 1993), although the critique has been quite thoroughly rebutted by Flannery (1993), and their debate was not focused on household size or its organization (since Saidel endorses Flannery'shousehold hypothesis) but on causality and the shape of buildings. This chapter explicitly examines two questions: (1) Can changes be discerned in the size and organization of households during the transition to settled food-producing villages in southwest Asia? (2) At what point during this extended transition did such developments occur? In examining the available archaeological evidence for changes in households during the transition to sedentary villages, earlier discussions that these communities comprised nuclear households or extended households are examined. This is done by first discussing how such inferences can be made by linking variation in social organization to specific archaeological correlates. The study area is restricted to one portion of southwest Asia, the southern Levant, since the data set for this area is the strongest. The time period under consideration includes the Epi-Paleolithic through the Middle Pre-Pottery Neolithic B. I argue in this chapter that, although there are changes in the size of domestic structures during this time period, they remained primarily the residences of nuclear families. No major alterations occurred in the numerical composition of the residential unit. Developments in the organization of interior domestic space did take place as facilities and compart-mentalization increased. These latter changes are interpreted as reflecting increased household autonomy and alterations in how nuclear households interacted with each other, particularly during the Middle PPNB. These results provide new insights into how households, a fundamental social unit within these communities, dealt with a novel reorientation in settlement pattern and subsistence strategies.